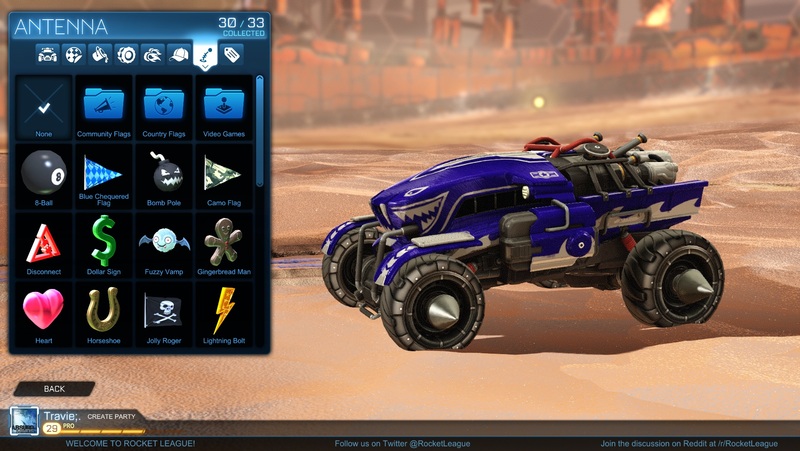 Post subject: Rocket League patch 1.10! (DLC) Two new Paint Types: "Camo," and "Sun-Damaged"
(DLC) Two new Wheels: "Grog" and "Ripper"
(DLC) Two new Rocket Trails: "Nuts & Bolts" and "Sandstorm"
(DLC) Three new Toppers: "Boombox, Cow Skull," and "Mohawk,"
(DLC) Ripper: Added "Shot Fox"
(DLC) Added "Nuts & Bolts"
Antennas - (DLC) Added "Bomb Pole" - (DLC) Added "Radioactive" - (DLC) Added "Retro Ball - Wasteland" - Added "Video Games"
Main Menu Theme has changed to "Scorched Earth (Chaos Run Theme)"
This DLC comes with a free new arena! 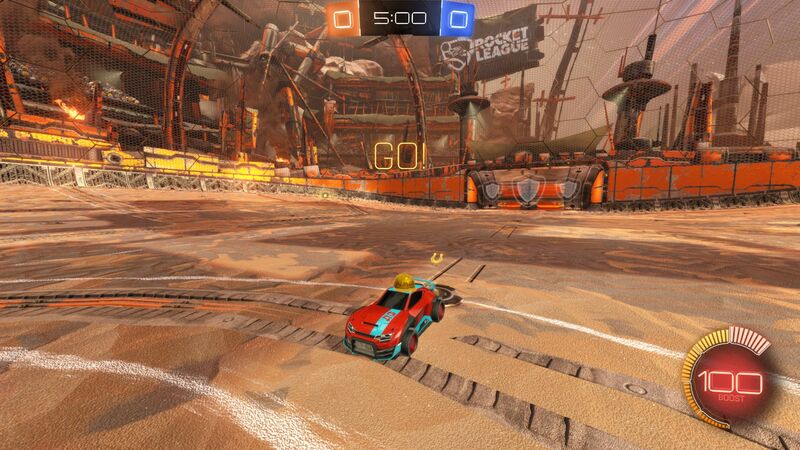 I plan on playing soem Rocket League tonight! Post subject: Re: Rocket League patch 1.10! Bought the DLC after seeing this. Grog: 1/10 Looks like a tractor/ladybug hybrid. I don't like it. Bomber decal looks good for the shape of the car. Looks like a rocket thing from super mario. A bullet. That thing. Tagged and Stripes are my favorite for this car. Ripper: 7/10 I like it. It's a neat coupe with spikes on the front. Spikes decal works really well with the look of the car. Tribal could also work. Paint jobs: I really like the camo and sun-damaged. Sun damaged goes great with stripes decal. Camo works amazing with any color. Very good job. Tires: Grog tires look silly to me. Studded tires, very big studs. Ripper tires have a spike on the rim sticking outward. Fitting for the car. Trails: Nuts and bolts is neat. I'm not sure what it would go well with, but it is unique. Sandstorm is awesome and looks like a sandstorm coming out the back. Hats and Antennas: I think they are all tacky. Could make them work with a proper paint color, but they don't really fit any theme. I love the new arena! Looks like a rocket thing from super mario. A bullet. That thing.